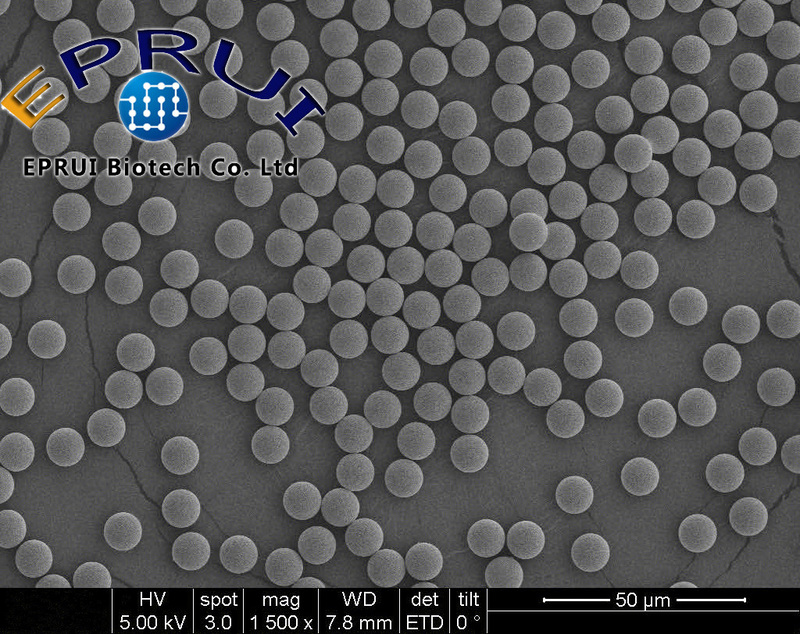 EPRUI offers uniform polystyrene latex microspheres that may be used as-is for self arrangement of microspheres, filter membrane screening, fluid dynamics research, photonic crystal film formation, instrument calibration, particle size standard and chromatographic media or coated with proteins via adsorption for use in diagnostic tests and assays. 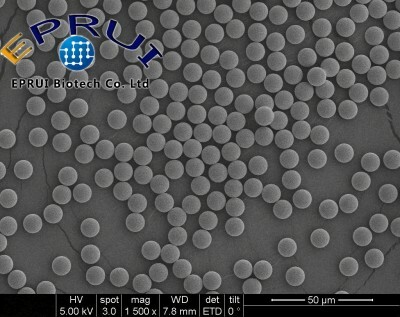 Microspheres with particle size below 3um are supplied as a 10% solids suspension (100mg/mL) in de-ionized water with surfactant and sodium azide. Microspheres with particle size larger than 3um are usually supplied in powder form but can also be supplied in dispersion form according to customers’ requirement.